This is a Marvel Legends 3.75" inch Hydro Man review. (Formerly the Marvel Universe line under a new name.) 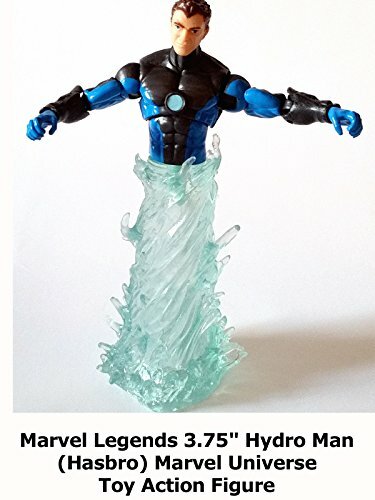 This Hydro Man action figure has a translucent lower body to simulate his water power. But he does not have lower legs or any other accessories. Kind of disappointing in that regard. It's an average figure and Hasbro could have done better.